Pray for all the resources and creativity needed to fulfill the intentions of God in the state of North Carolina. State Information: The first European settlement in North Carolina is the famous Lost Colony of Roanoke Island that vanished sometime after 1587. North Carolina is the northern portion of the original 1629 land grant made by England’s King Charles I, which was named in his honor (Carolus is Latin for Charles). 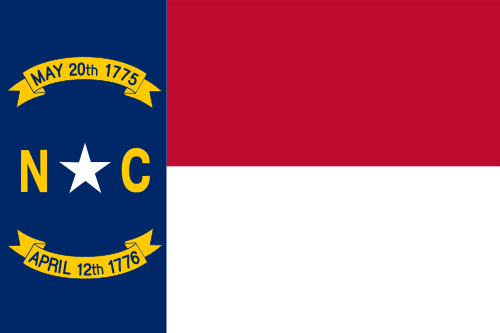 North Carolina joined the Union in 1789 and is the 12th of the original 13 states. Today, North Carolina is a growing research center and banking state. The capital of the “Tar Heel State” is Raleigh, and the dogwood blossom is the state flower. As the time for area primary elections loom in the distance. It is my prayer that all who vote make their Yes mean Yes and their No mean No. Help the people of the state, and their respective make sound decisions on the candidates and the platforms they represent. And may these future be full in Your Almighty will and under your guidance.